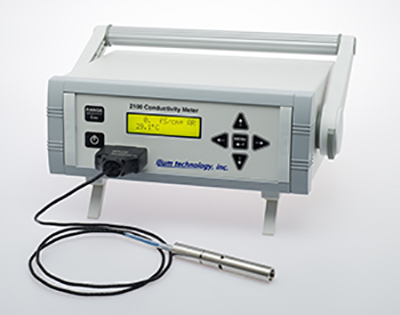 The Model 2100 Conductivity Meter is optimized for measuring ultra-low to low conductivities. By using the range of ILIUM high accuracy conductivity smart probes, the Model 2100 can cover a 12 decade range from 1 femto-S/cm (10-15 S/cm), approaching hexane and other highly non-polar solvents, to 1 milli-S/cm (10-3 S/cm), such as low concentration salt solutions in water. The Model 2100 is a compact bench top unit with a two-line LCD display which shows up to 4 digits of reading plus instrument status and sample temperature. The instrument is designed to accept ILIUM fully interchangeable smart probes, which contain all the necessary information about the probe, including NIST traceable calibration data. The instrument will auto range over twelve orders of magnitude in conductivity with the use of appropriate dip and flow through probes. This makes it practical to track production processes and research experiments from an initial pure solvent through component addition and processing, or to use real-time conductivity measurements to monitor inline ‘clean-in-place’ processes for solvent-based systems, much as they are used today in aqueous cleaning processes. The rear panel USB connector provides for computer control and data collection. A free basic data acquisition program is included to help the user get started. Because of its broad range, simple design, robust construction, and user-friendly interface, the Model 2100 will be a valuable addition to any lab or test station, including in-hood use. 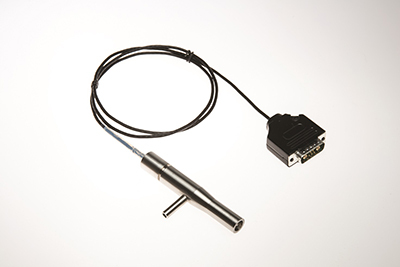 The Model 1020 fully immersible Conductivity Dip Probe is designed to work with ILIUM’s Model 2100 Conductivity Meter and is optimized for measuring ultra-low to low conductivities from 25 femto-S/cm to 2.5 micro-S/cm. It’s small size, sample independent cell constant, and easy to clean design make it ideal for laboratory, QC/QA, and process applications. The probe can be disassembled for cleaning and reassembled in seconds with no change in the cell constant, providing complete reproducibility. This is an important advantage when measuring emulsions or particle dispersions, such as paints and inks, which often leave difficult to rinse particles or droplets deposited on the electrode surfaces. This makes the Model 1020 probe along with the Model 2100 ideal for the characterization of inks, paints, pharmaceutical and personal care formulations, resins, liquid toners, and other non-polar as well as polar fluid systems. 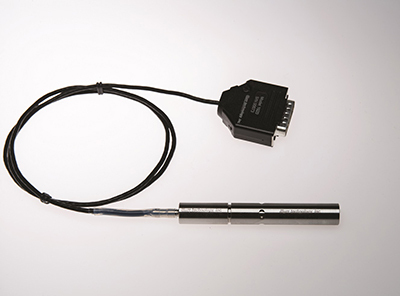 The Model 1021 Conductivity Flow-through Probe is the ideal solution for real-time conductivity monitoring of any liquid system where the conductivity is best or most conveniently measured in a flowing rather than static environment. The new probe works with Ilium’s Model 2100 ultra-low, ultra-wide range conductivity meter and can measure conductivities ranging from 2.5 micro-Siemens/cm (10-6) down to 25 femto-Siemens/cm (10-15). Applications include laboratory titrations, reactions, and controlled environment experiments; as well as other situations where static measurement of conductivity is not recommended, such as high purity water and other solvents. The ability to measure conductivities over such a wide and low range makes the Model 1021 ideal for the characterization of inks, paints, pharmaceutical and personal care formulations, resins, liquid toners, and other non-polar as well as polar fluid systems. For the first time it is practical to track production processes and research experiments from an initial pure solvent through component addition and processing; or to use real-time conductivity measurements to monitor inline clean-in-place processes for solvent based systems, much as they are already used in aqueous systems. Copyright ©2015 ILIUM Technology, Inc. All Rights Reserved.